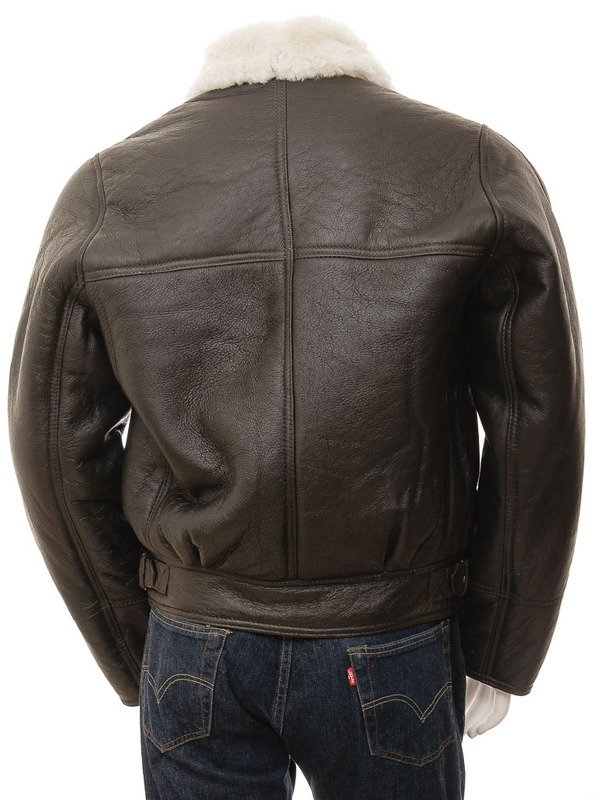 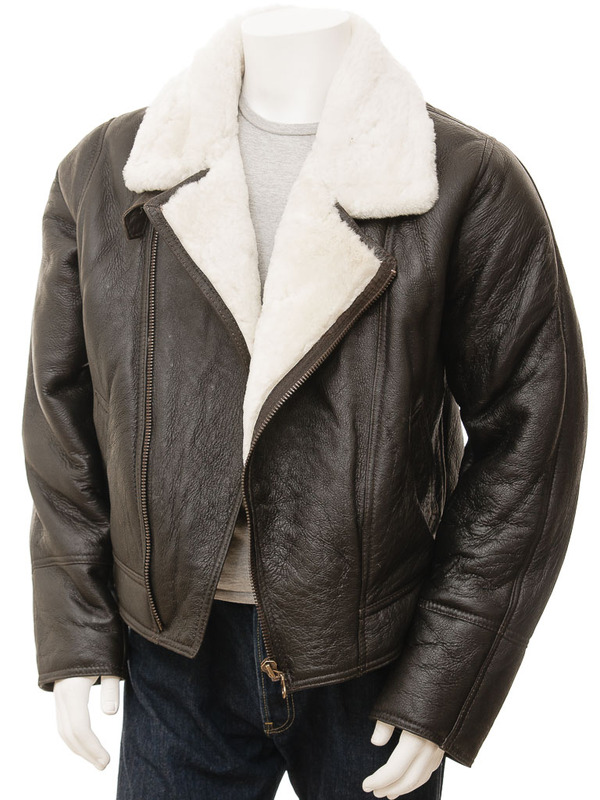 This dark brown and cream, shearling sheepskin flying jacket needs no introduction. 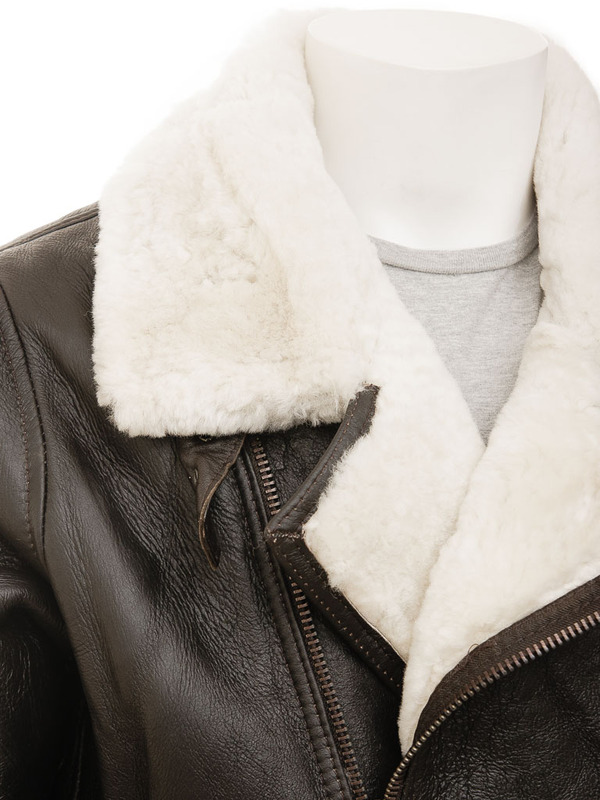 We have all seen it in countless films and tv programmes and now, thanks to its resurgence on the catwalks we can try it for ourselves. 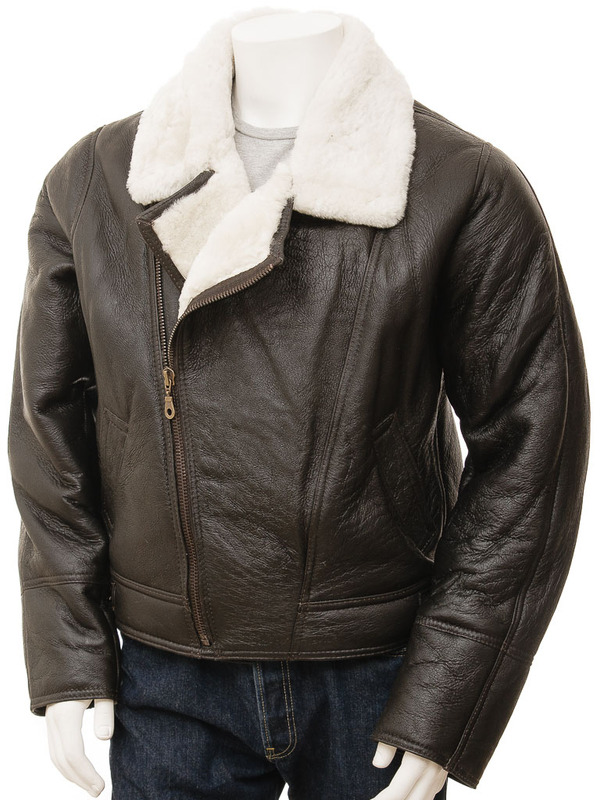 Built with no compromises this aviator jacket offers superb insulation and weather proofing. 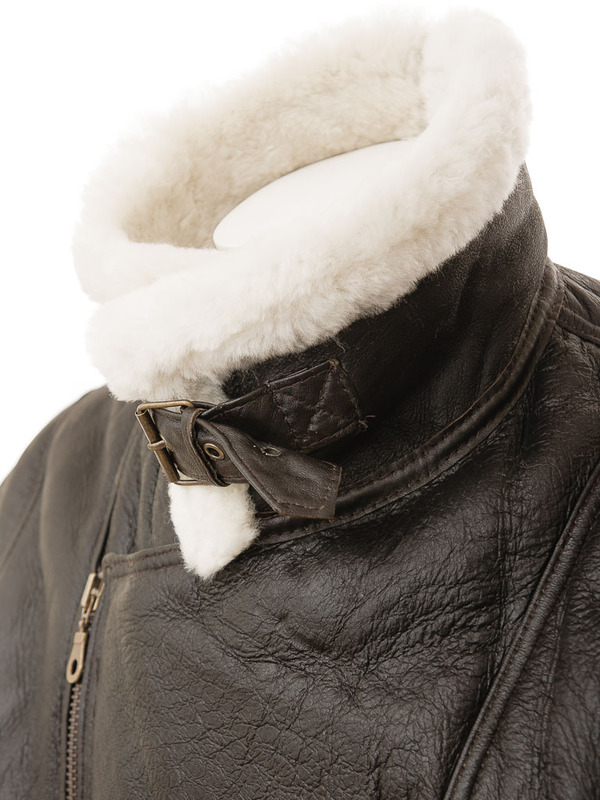 But it’s still comfortable, the sheepskin fleece which forms the interior feels amazing and the brass heavy duty zip and buckles do a great job of keeping the weather out. 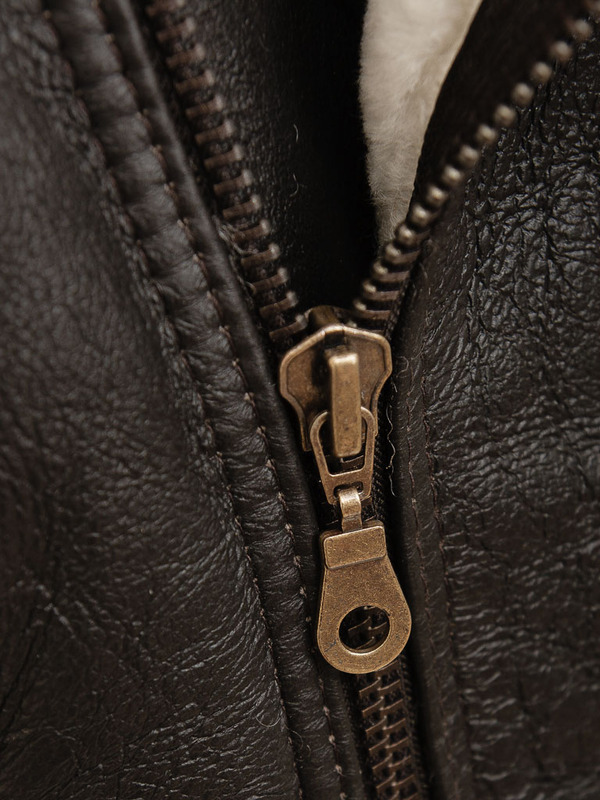 There are two pockets at the waist while the asymmetric crossover zip is a useful design feature which supports the collar and enables it to be worn down or buckled up under the chin.